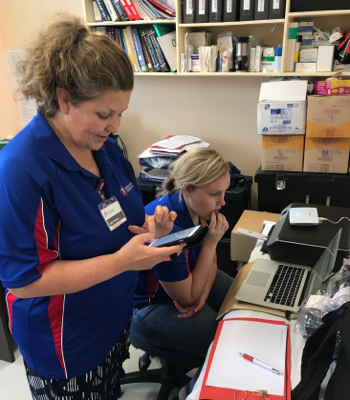 An eclectic team from across Australia came together in Auckland on Saturday to form the team heading to Tonga for the cardiac placement. It is easy to spot an OHI’er, the bright shirts, broad smiles, friendly chatter and welcoming handshakes with the new recruits makes the OHI (Open Heart International) team stand out among the crowd. All united by a common goal of making a difference, new friends and as well as old friends from past trips were all excited to be on this journey together. After a quiet flight to Tonga the 28-strong team were welcomed into the Kingdom’s capital with a tropical downpour and balmy heat and the welcoming smiles of Tongan locals. From the first moment of touching down on the tarmac the hospitality of the Tongan’s was immediately felt. With a fresh smelling lei given to each of the team, the transition from work life to OHI life had commenced. 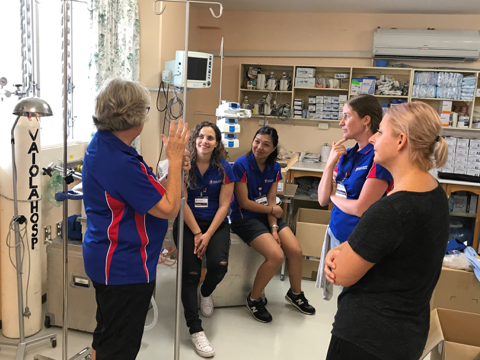 After what felt like a short sleep after a long day of travelling the team came together for the morning briefing by Project Coordinator Julie Hulston, on her 14th trip with the OHI theatre team, this being her first as team leader. A short bus trip to the Vaiola Hospital in the Kingdom’s capital Nuku’alofa and the Maufanga Youth Choir sang for the team songs of worship and blessings. Their heavenly voices echoed through the hospital sending the message of deep gratitude to the team. Pastor Fanueli Mataele, from the local Seventh-Day Adventist community sent prayers of thanks and asked for strength and protection for the team. Teams were then dispatched to their respective areas of specialty and then it was all systems go. 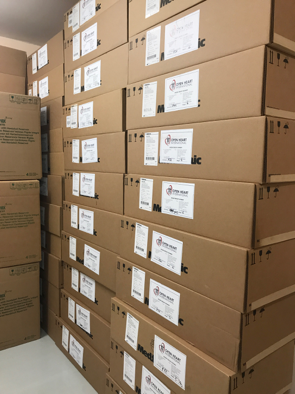 Boxes of supplies were unpacked and placed in order, patient profiles were discussed, rosters were made, and teams fell into their rhythm. 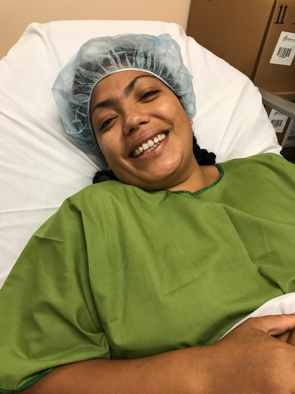 It may be day one but there was no time being wasted with the first patient, Tupou, going into surgery by mid-afternoon. 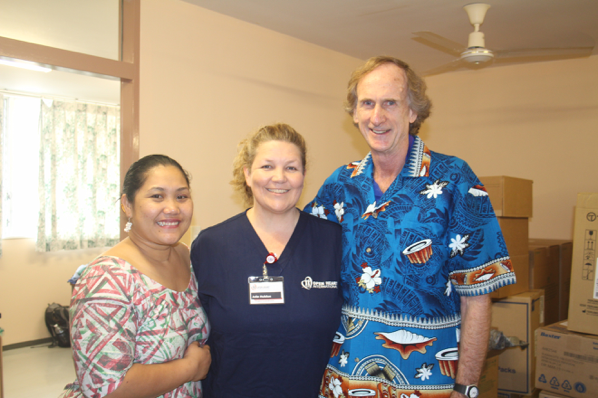 Australian Father’s Day was celebrated with a gifting of Tongan shirts from the hospital staff for the Dad’s on the team, making them feel extra special. 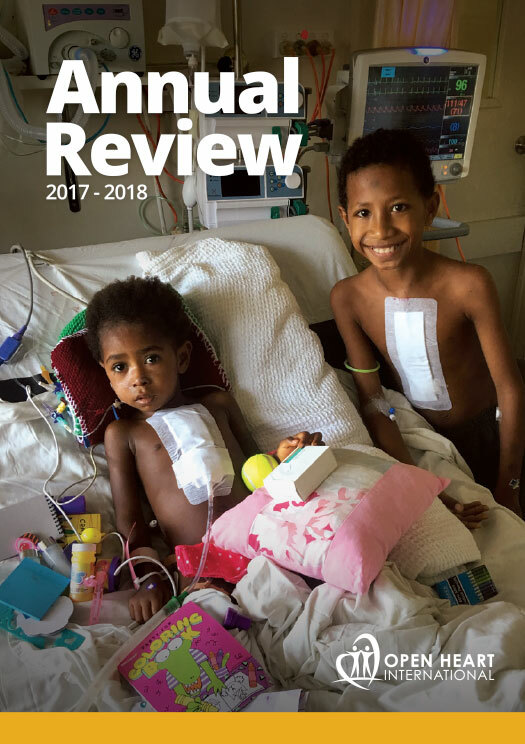 With two weeks full of life-saving operations ahead of the team, they are ready and willing to put in the hours and the effort alongside the local medical team to strengthen the health and hearts of the patients.